Formula One team Ferrari have set expectations high after strong performances in testing and could pay a heavy price if they disappoint in the season’s opening race in Australia, according to retired double world champion Mika Hakkinen. Ferrari failed to win a race last year, finishing third overall, and their last title was the 2008 constructors’ championship. “I believe that the whole Ferrari team has put enormous pressure on themselves,” said Hakkinen, who won his 1998 and 1999 championships with the McLaren team. “If they don’t perform in the first race as well as their tests have indicated, then it will be a terrible disappointment for the whole team,” the Finn said at a promotional event. Ferrari have Hakkinen’s compatriot and fan favourite Kimi Raikkonen, the 2007 world champion, in their line-up alongside four times champion Sebastian Vettel. 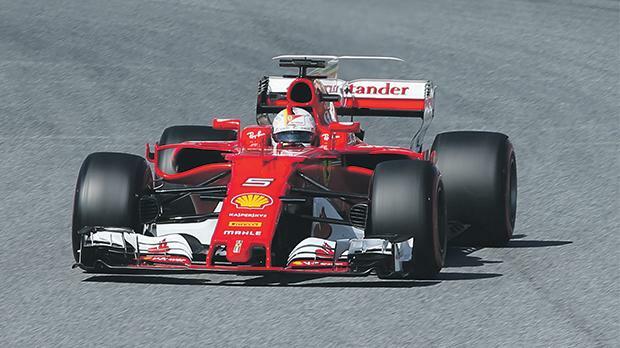 Vettel is the bookmakers’ second favourite for the title behind Mercedes’s Lewis Hamilton. Hakkinen said he expected Raikkonen to be more competitive this year thanks to new regulations that have made cars faster but in some cases harder to handle. “That’s based on what I saw in Barcelona. The Ferrari drivers did not need to worry that they’d lose control of their cars when driving into corners,” he said. Finland’s big hope this season lies with Mercedes driver Valtteri Bottas, who has replaced retired world champion Nico Rosberg. Hakkinen, who has been closely involved in the former Williams driver’s career, said Bottas was capable of winning races alongside Lewis Hamilton. “He knows the situation, that he is facing a really tough guy. He still has a lot to learn, and he wants to learn more,” he said. Hakkinen also spoke of McLaren, whose relationship with engine partner Honda is under severe strain after poor testing performances.